On 16 October 2014 , our own P resident Elect of the Law Council Duncan McConnel travelled to Malaysia to act as an Observer in the ‘Walk for Peace and Freedom’. The Law Society of England and Wales and the Union Internationale des Advocats, also deeply troubled by the use of the Sedition Act in Malaysia, also requested that Mr McConnel represent them at the ‘Walk for Peace and Freedom’. The Law Council is strongly supportive of the Malaysian Bar’s efforts to advocate for the repeal of the Sedition Act, and its call for the withdrawal of criminal charges against all persons currently facing persecution. 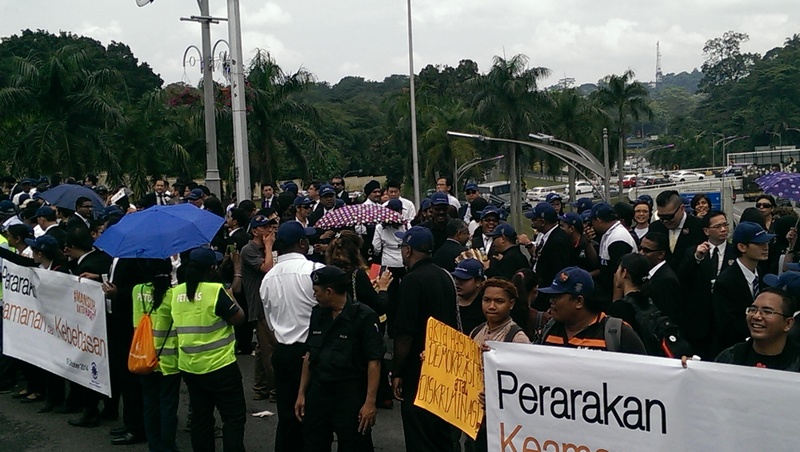 Together with LAWASIA, the Law Council calls on Malaysian authorities to ensure that Malaysian lawyers are able to carry out their mandated duty through actions including the ‘Walk for Peace and Freedom’, without fear of reprisals from those elements of Malaysian society who oppose their views. Law Council of Australia President, Mr Michael Colbran QC, said the Law Council shares the concerns of the Malaysian Bar and others in the international legal community that the continued use of sedition laws in Malaysia is stifling freedom of speech and expression.